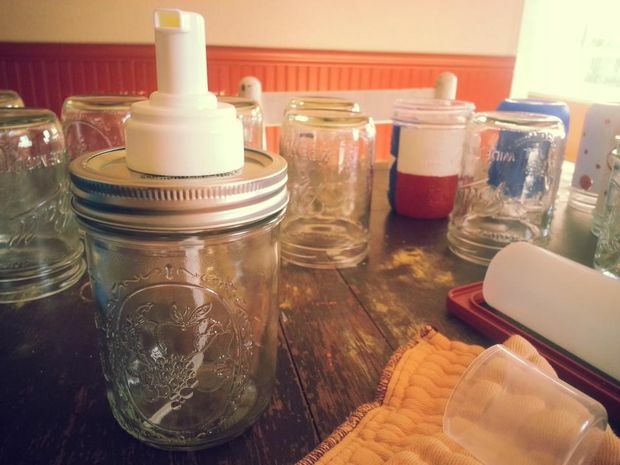 Mason jars are a hot favorite these days and people love crafting with them. 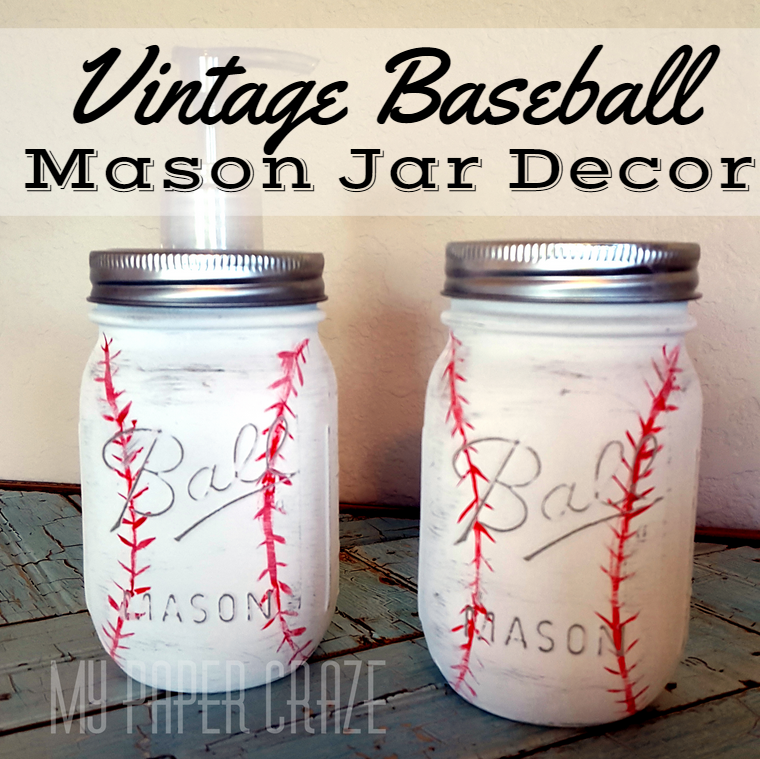 You can explore a lot of projects with mason jars from painting mason jars to flower arrangements in mason jars! 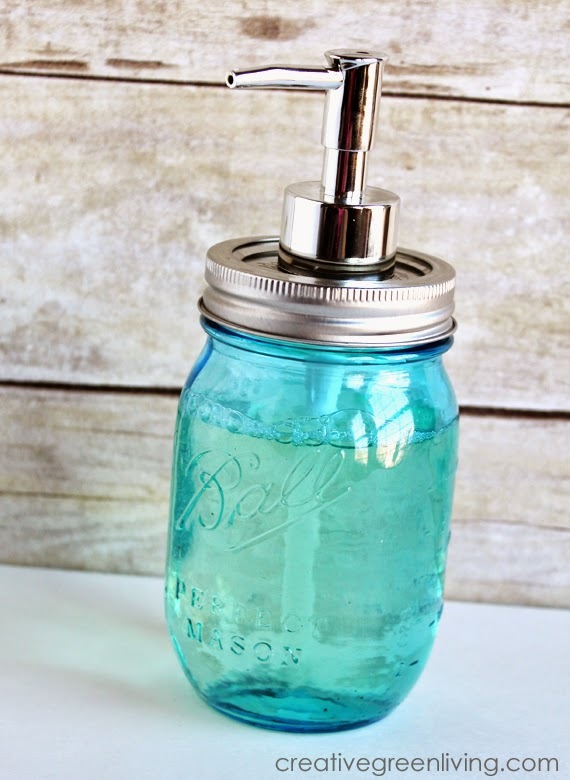 Let’s try to recycle some of the old ones, and paint and decorate them and turn them into beautiful and cool mason jar soap dispenser. 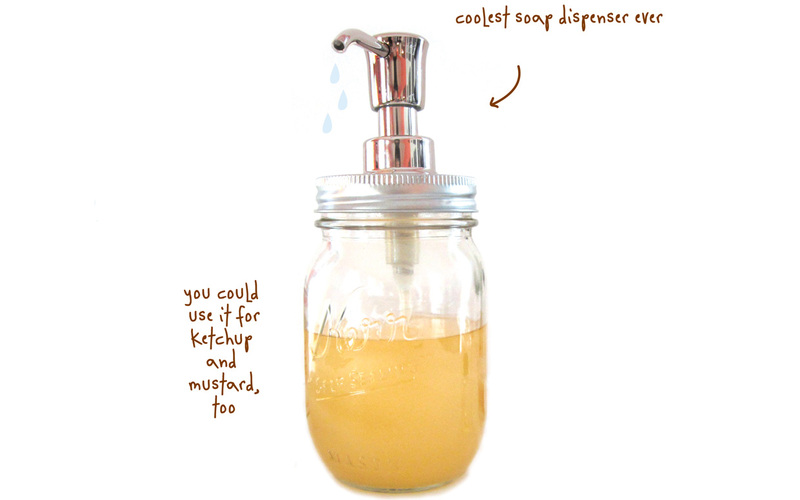 Converting a mason jar into a soap dispenser with these simple and easy instructions in no time. 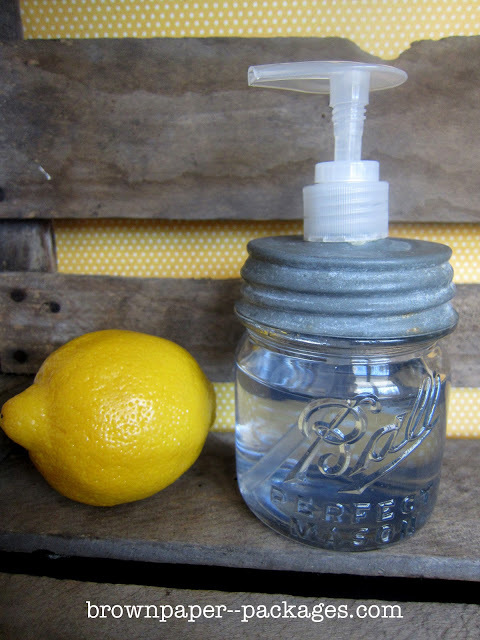 Get crafty and creative and DIY it today! 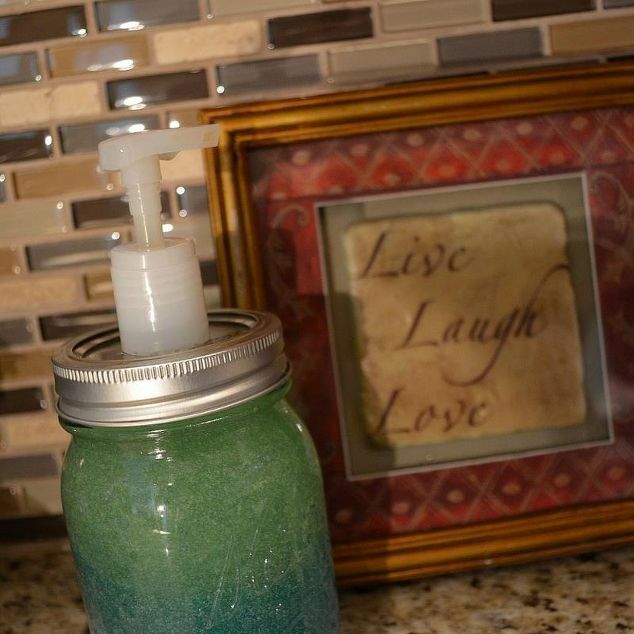 Some cool crafts this summer season! 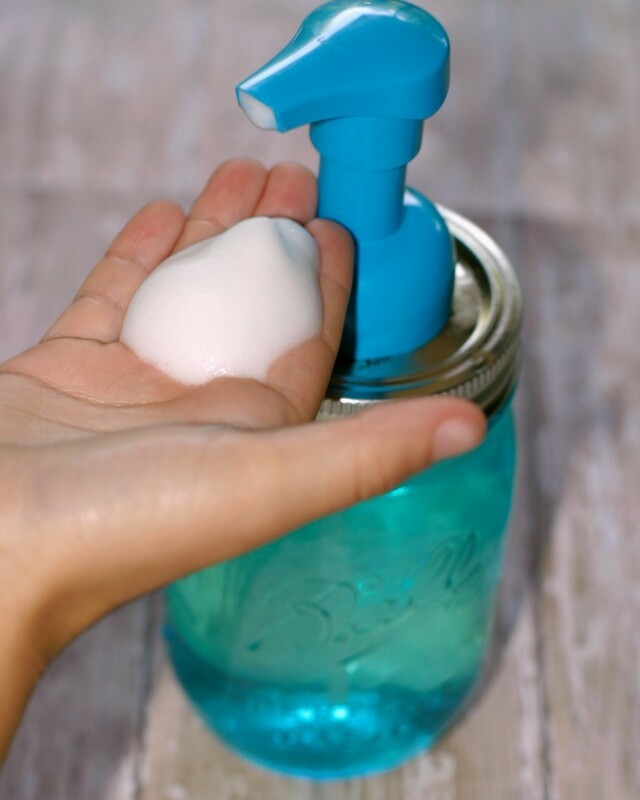 This blue mason jar soap dispenser is simple and techniques are quick to apply! 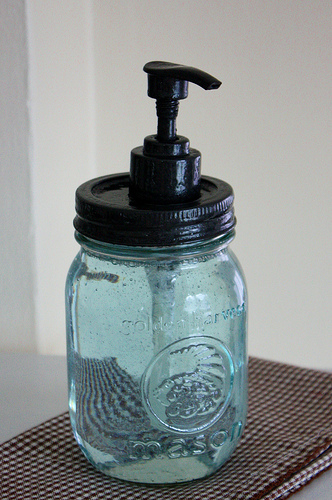 A simple plastic pump of your choice, drilling machine, and a mason jar is all you need to make this! 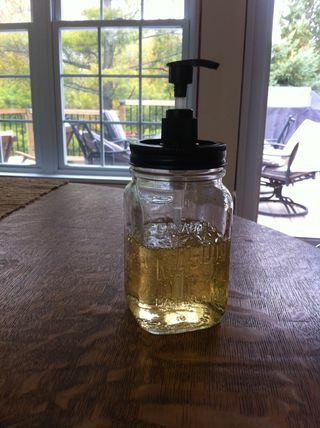 Make your own mason jar soap dispenser and add a great handmade look to your washroom. 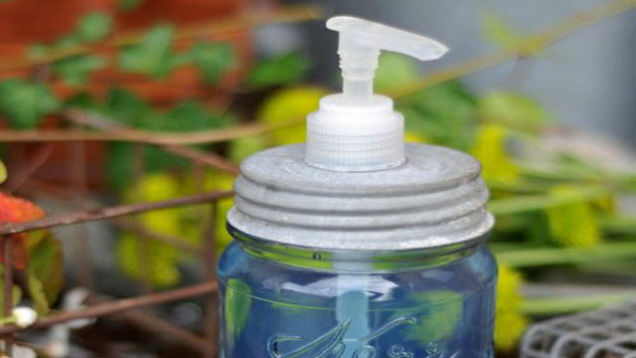 This one is a simple and cute soap dispenser made from some extra mason jars at home! 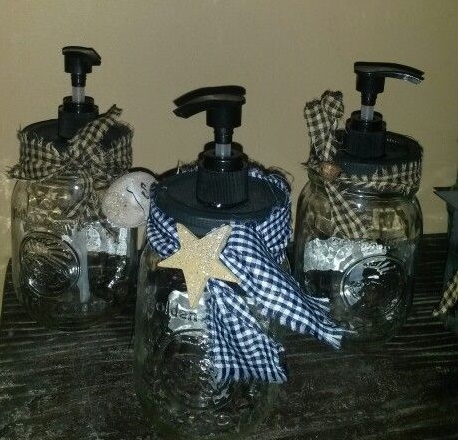 Adorn your bathroom corners with this country like soap dispensers enhancing the look of the whole set up! 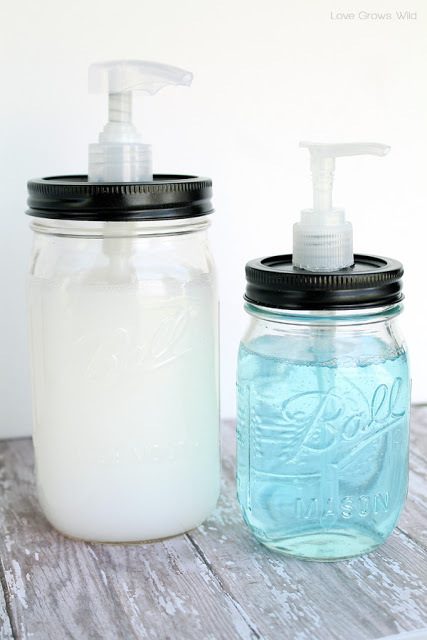 This mason jar project is simple and recycling a jar into a soap dispenser with quick instructions is a cool idea. 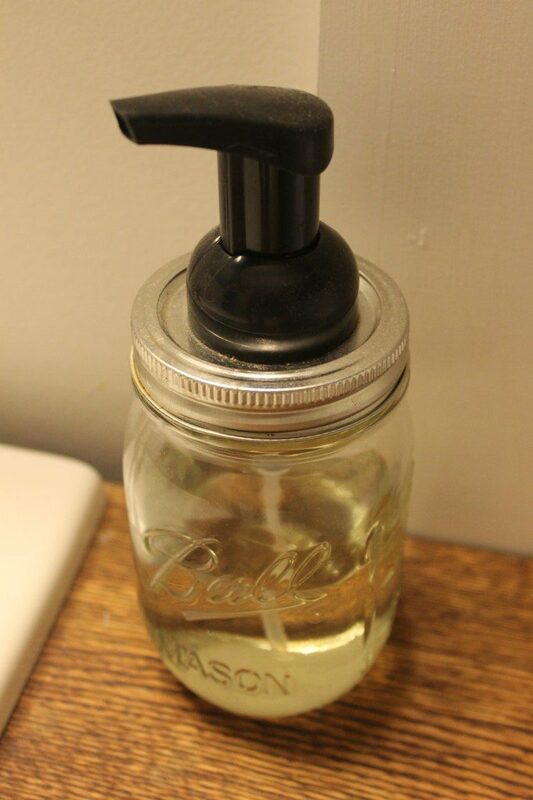 Converting a mason jar into a soap dispenser to add to the decor of your bathroom looks pretty cool. 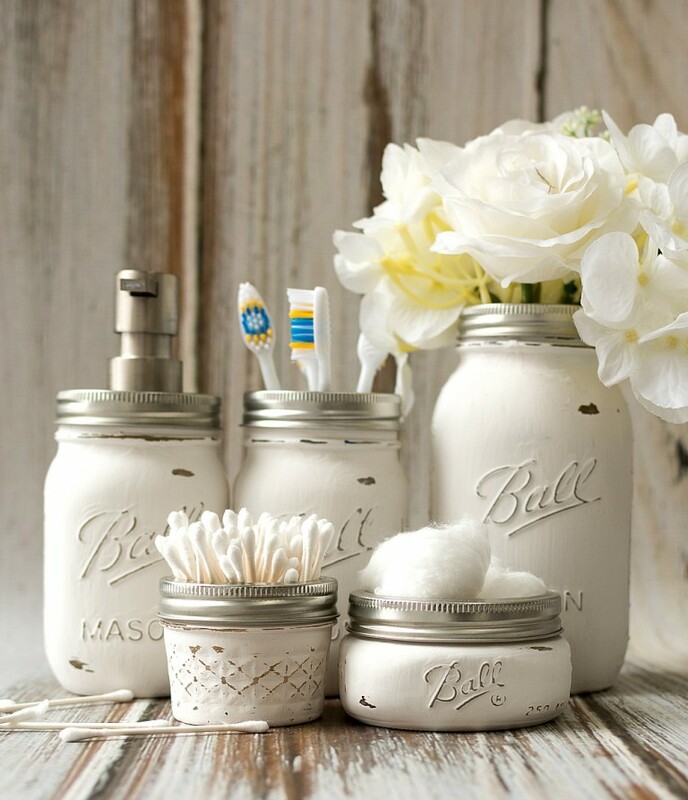 It’s an affordable, quick and creative idea to use your bathroom storage place. 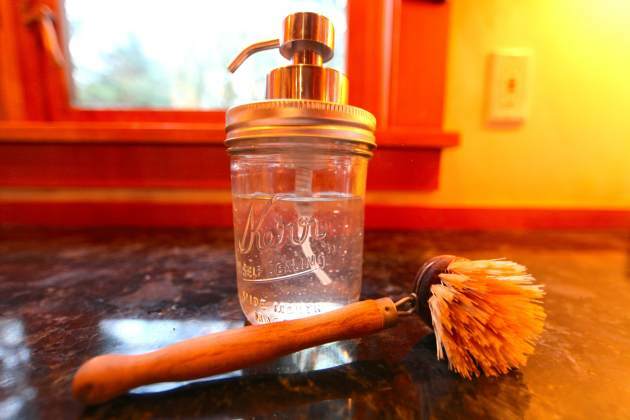 An easy tutorial on how to make it yourself in no time with plastic mason jars. 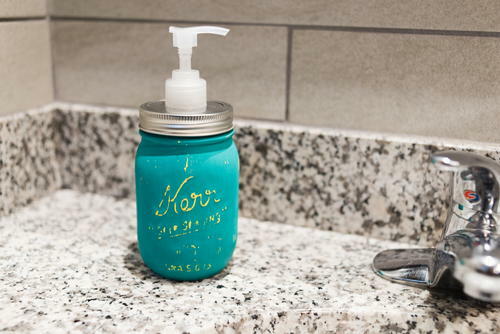 Once you turn a mason jar into a soap dispenser you can decorate it with accessories and give it a jeweled look of your choice! 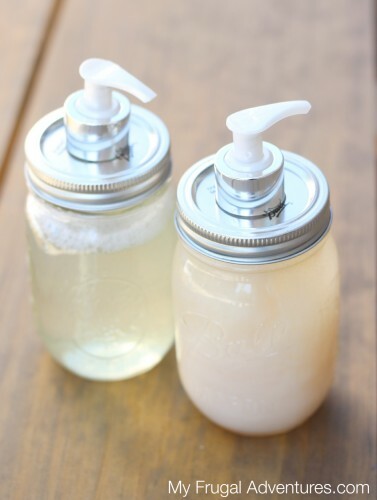 Some basic tips and trick with step-by-step instructions to turn mason jars into soap dispensers. 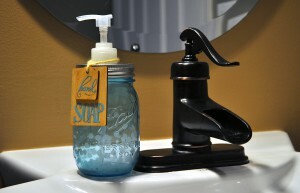 Adding copper metallic pump to mason jar soap dispensers adds a rustic touch to it! 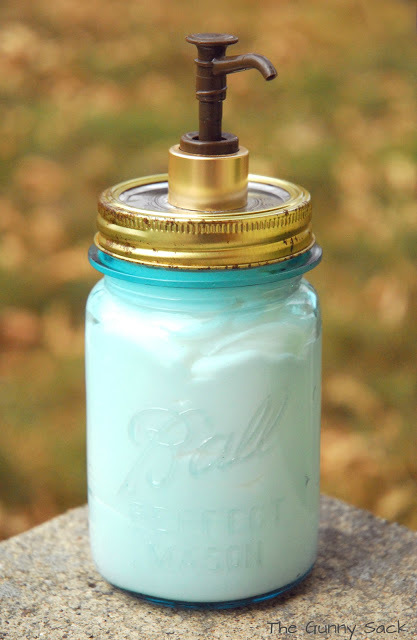 All you need to do is do some spray paint to the mason jar of the color of your choice before you add the lid to it! 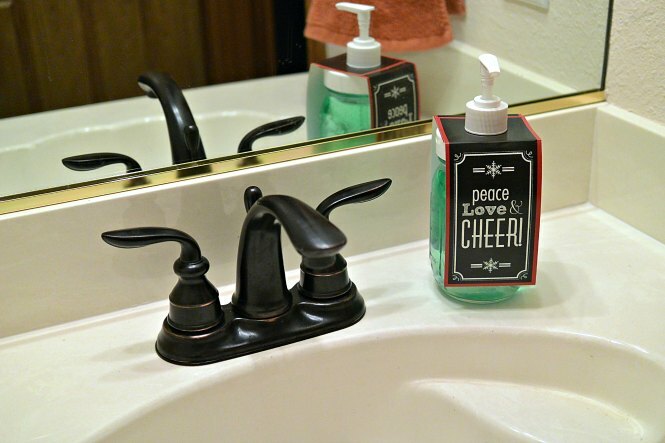 Let’s add a little creativity and art to our soap dispensers! Giving it an antique look is the flavor of the season! 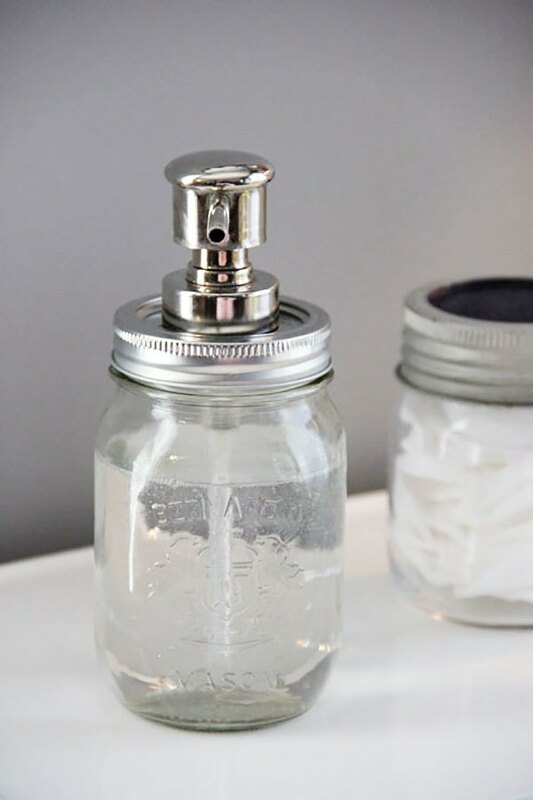 A complete guide with step-by-step instructions on how to transform a simple mason jar into a stylish soap dispenser for your wash basin! 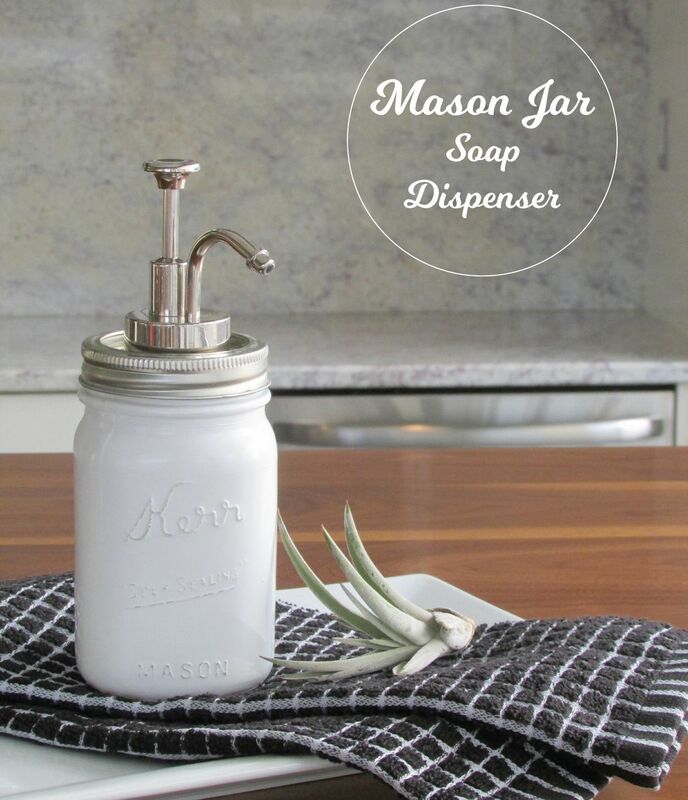 Putting lotion, soap or shampoo in a mason jar soap dispenser is an ideal choice for your bathroom counter. 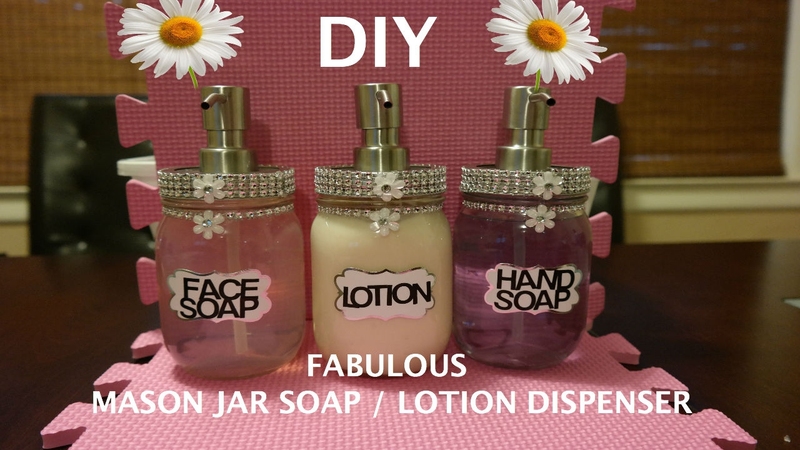 Try this amazing idea and DIY now! 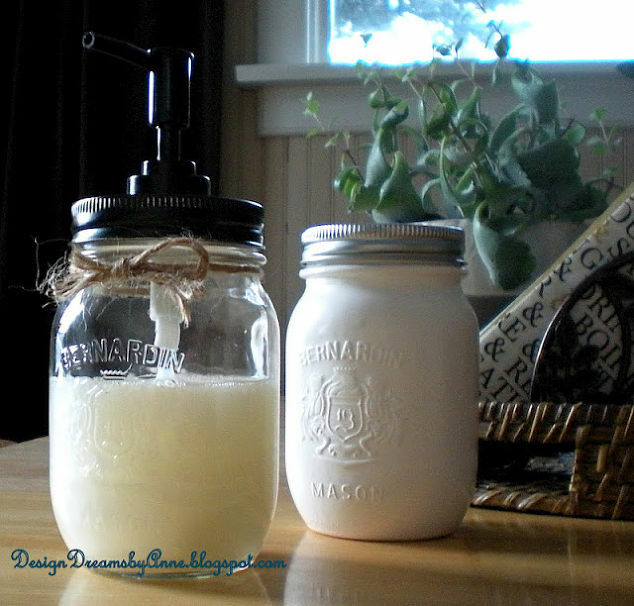 Make your own pump mason jar soap dispenser at your home with supplies you already have! 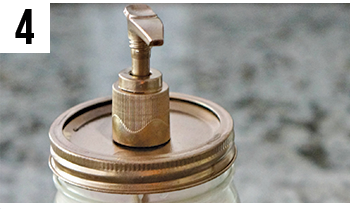 This one has a wide mason jar wid lid! 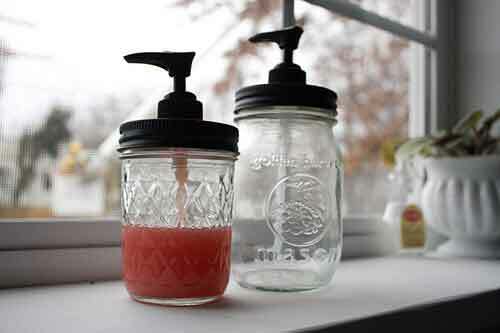 You all must be having a mason jar or two lying ideal at your home. 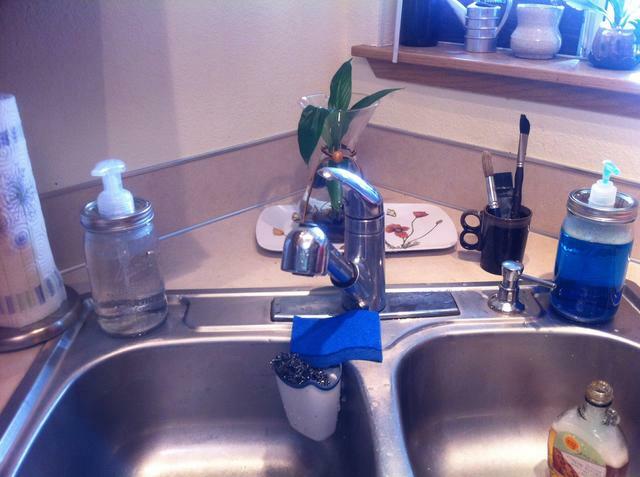 Get creative and put them to good use! 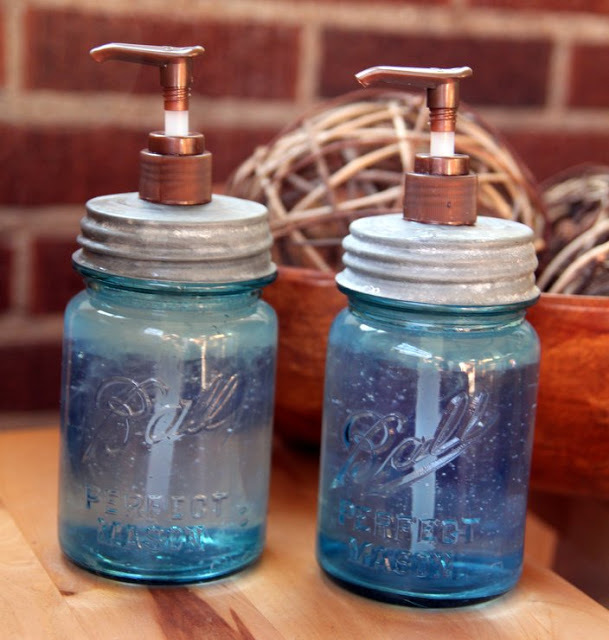 Make some amazing soap dispensers from those mason jars. Using different colored liquid soap inside the mason jars can also enhance the ultimate look of the dispenser. 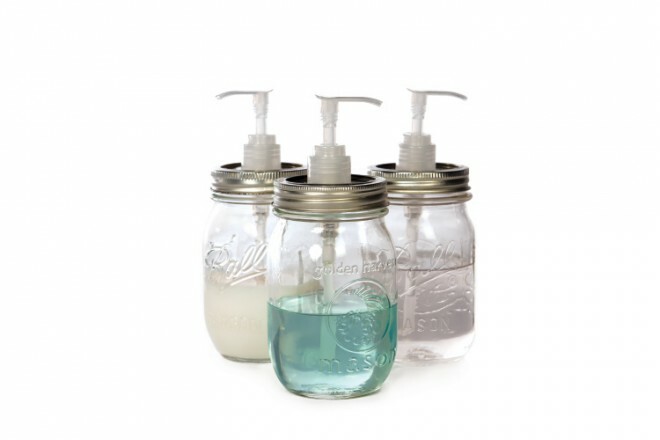 If you have seen distressed mason jar bathroom set for storage online on stores and find it intriguing then let’s try and make one from this amazing idea! 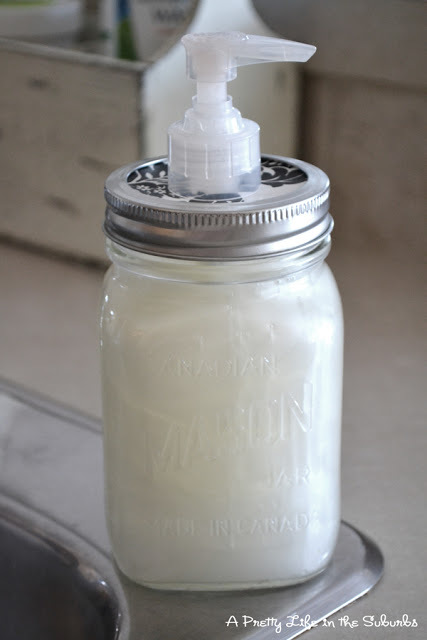 A beginner level’s easy DIY project for all mason jar craft lovers! 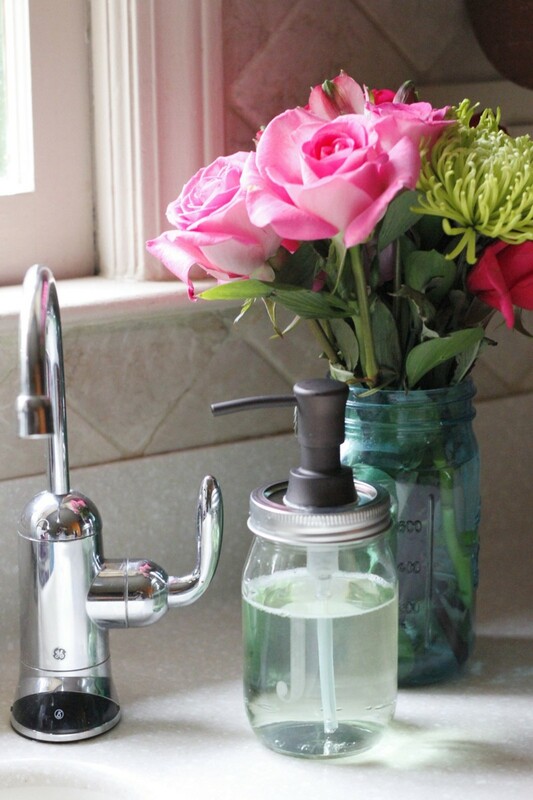 Ideal DIY Mason Jar Soap dispensers for your kitchen!